We all know about the clichés of Golf. "It's not a sport", "Golf is boring", or even "Golf is not a sport" are only a few sentences that we here quite often. However, every golfer knows that these statements are simply false. I have started to commit to the game and to love the sport when I was 16. Ever since I compete in tournaments, practice a lot and have worked hard to get where I am now: I am a professional golfer! Sweat and tears, injuries and setbacks have paved my way, but even more so lots of fun and success, motivation and positive beliefs. I did not play for a college, was not supported by a national team nor a similar organisation. Nonetheless, I have fought my way through. 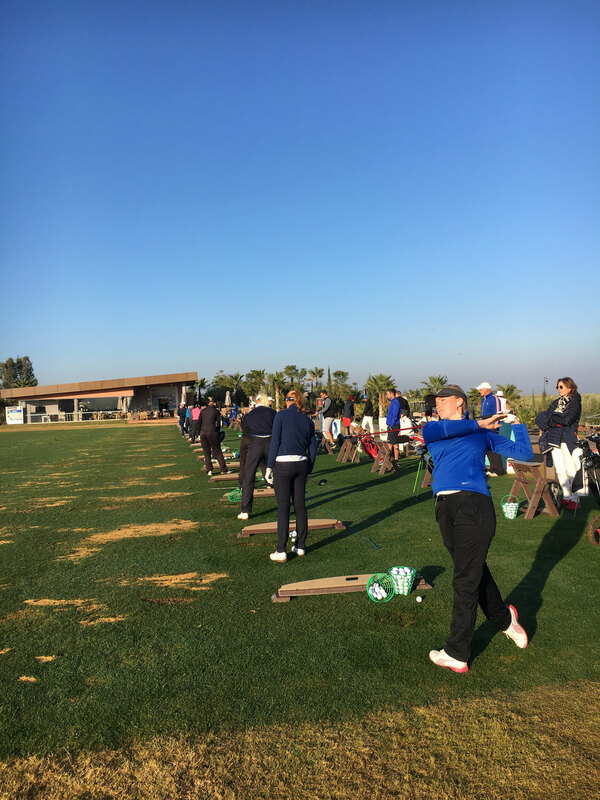 Currently, I am a member of the Ladies European Tour Access Series (LETAS), also competing in events of the Santander Tour in Spain and sometimes even on the Ladies European Tour (LET). In the 2018 season I am aiming for my LET Tour Card for the 2019 season. In the long run, LPGA ambitions are on my list. By playing golf professionally I want to improve the game of golf for women and girls not only in Germany, but in all of Europe. Golf professional is not only a dream job, but also a perfect hobby for everybody. It is important to me to improve the image of golf and I am working hard to have an impact on that development."